Are multiplication and division troubling your kid and giving you stress? Allow your kid enough time to understand the subject. Math worksheets for class 1 and other grades include multiplication and division worksheets. These resources can be used to evaluate and track the learning progress of your kid. Like many other kids, your kid may struggle with multiplying and dividing numbers. Don’t worry. You just need to change the teaching strategy to help your kid to understand the subject better. Ensure that your kid has a good understanding of basic counting of numbers. Then, begin with basic addition and subtraction. You can use math worksheets for Grade 1 to improve addition and subtraction skills of your kid. This important step will set the foundation for learning more complex concepts of multiplication and division. Also, teaching division right after multiplication lessons can be a good teaching strategy. This approach can avoid confusion and give more clarity to your kid about the difference between multiplication and division. In school, kids generally get introduced to multiplication in Grade 2. You can make use of math worksheets for Grade 2 to allow your kid to practice multiplication as per their academic curriculum. However, starting as early as 3 or 4 years of age for teaching multiplication can make your kid’s learning journey easier. Also, multiplication worksheets can be tailored to the learning needs of your kid. Your kid may be having a set of favorite toys or miniature cars. Use your kid’s toys to motivate them to do the math. Here are a few examples. You have 4 stickers and 8 books. Each book should have an equal number of stickers. How many stickers will you put on each book? Additionally, you can also use candies, fruits or other commonly used items to explain multiplication and division to your kids. Use a chart or a number line for your kid to circle the multiples during learning sessions. Discuss the commutative property in multiplication. For example, 2×4 and 4×2 equals 8. Explain the multiplication tricks. For example, 6+6 and 6×2 will give the same answer. Give division worksheets with attractive illustrations. These activity sheets come with empty spaces allowing your kid to fill the divisor, quotient and remainder. Coloring sheets engage your kid with pictures. Kids need to color the items on the sheet to answer the division question. To make it easy for kids, coloring worksheets include just one exercise or one concept on each page. Remember that every kid has a specific pace of learning. You need to be patient and use the right teaching strategies to support your kid in learning the multiplication and division concepts correctly. Resources such as multiplication worksheets for class 1 and division worksheets can be useful to increase the confidence of your kid through regular practice. 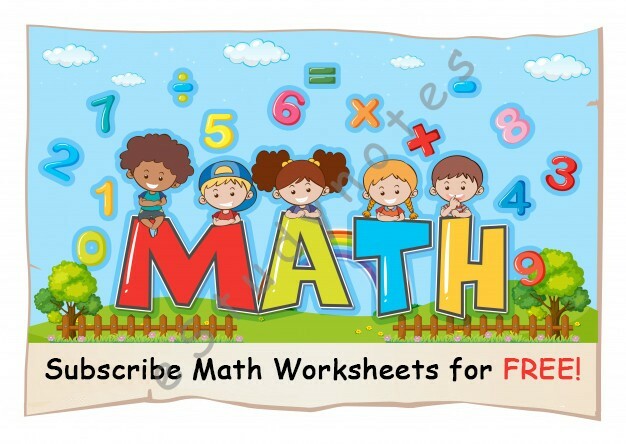 You can download free math worksheets for various grades online. For a more systematic learning experience, why not subscribe to specialized worksheets designed as per academic curriculum of your kid. To learn more about worksheet subscriptions, visit www.estudynotes.com or call +91 8779912031. NextNext post:What Are The Different Types Of Nouns In English?